Our website is now open for event registrations for Peace Week 2019. Become part of Peace Week Delaware 2019 by planning and registering your event. The fourth annual Peace Week Delaware will be celebrated by concerned citizens in all three counties—nine days of events raising awareness, hope, and action for peace, equality and justice in our communities, nation, and world. YOU can HELP. Subscribe to this website to receive e-mail notification of new posts here. The Fifth Annual March for a Culture of Peace was a highlight of Peace Week Delaware 2018. Thanks to Tom Davis for producing this video. Peace Week Delaware 2018 was a huge success thanks to our creative and generous event sponsors; they planned one-hundred events for our collective benefit. The attendance numbers are yet to be tabulated but we do not need statistics to feel an unbridled enthusiasm and positive energy, an energy that can be harnessed to dismantle all barriers to peace. Thank you from all of us on the Steering committee; we have felt the tremendous good will of the people of Delaware. These are live links. Select the event for more information. Select the location for a map. Exhibit ends today; don’t miss it!! Be inspired by our young people. 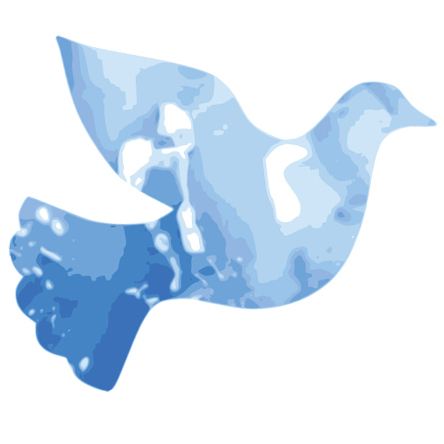 Thank you for your enthusiastic support of Peace Week; help us organize for an even better next year. We need donors, working partners, and steering committee members. Contact us via email and we will be in touch. Exhibit ends tomorrow; don’t miss it!! Be inspired by our young people. This year we mark International Day of Peace as we prepare to celebrate the 70th anniversary of the Universal Declaration of Human Rights.This foundational document is a reminder that peace takes root when people are free from hunger, This year we mark International Day of Peace as we prepare to celebrate the 70th anniversary of the Universal Declaration of Human Rights.poverty and oppression and can thrive and prosper. On 21 September 2018, from 9:00 a.m. to 9:30 a.m., the Secretary-General will celebrate the Day in the Peace Garden at United Nations Headquarters by ringing the Peace Bell and observing a minute of silence. United Nations Messengers of Peace will participate in the ceremony. Many other communities observe Peace Day with a moment of silence at 12:00 noon. 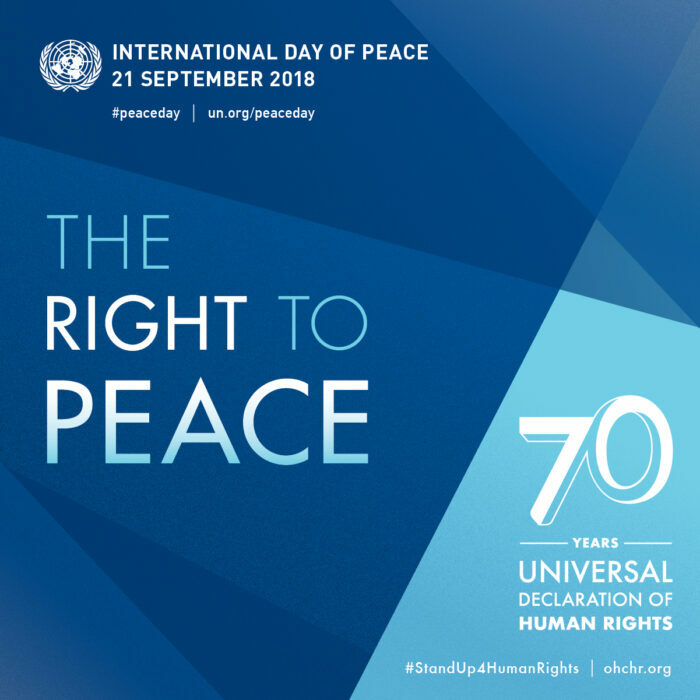 The United Nations website suggests that you can also support this observance by seeking peaceful resolution of conflict when disagreements arise around you. You can be part of the solution by taking small steps. You can prevent an injustice at school or in your community by adopting a non-violent approach to problem solving and reporting potential crimes, including online bullying. You can engage by speaking up when others are at risk and stand with others’ human rights at work, at school and around the dinner table. You can reflect how each of us can stand up for rights every day. You can attend one of these local Peace Week events. Select an event in the list below to get more information. Select a location to get a map. These are live links. Select the event to get detailed information. Select the location to get a map. Peace Week offers twenty-five events on opening weekend. These are live links; select to get more information about the event.